Cytoscape is a general network visualization, data integration, and analysis software package. Its development and use has been focused on the modeling requirements of systems biology, though it has been used in other fields. Cytoscape’s flexibility has encouraged many users to adopt it and adapt it to their own research by using the plugin framework offered to specialize data analysis, data integration, or visualization. Plugins represent collections of community-contributed functionality and can be used to dynamically extend Cytoscape functionality. This community of users and developers has worked together since Cytoscape’s initial release to improve the basic project through contributions to the core code and public offerings of plugin modules. 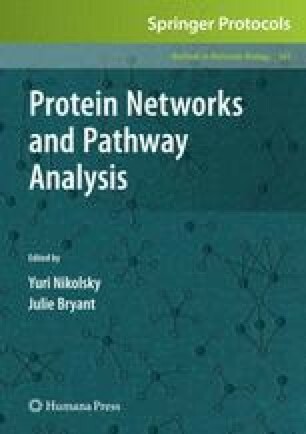 This chapter discusses what Cytoscape does, why it was developed, and the extensions numerous groups have made available to the public. It also describes the development of a plugin used to investigate a particular research question in systems biology and walks through an example analysis using Cytoscape. 1. The project described was supported by grant number P50GMO76547 from the National Institute of General Medical Sciences. The content is solely the responsibility of the authors and does not necessarily represent the official views of the NIMGS or the NIH. 2. Gregory W. Carter is supported by grant K25GM079404 from the National Institute of General Medical Sciences. 3. Funding for Cytoscape is provided by a federal grant from the US National Institute of General Medical Sciences (NIGMS) of the National Institutes of Health (NIH) under award number GM070743-01 and the US National Science Foundation (NSF). Corporate funding is provided through a contract from Unilever PLC.